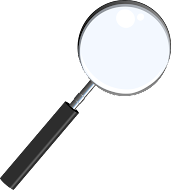 Who was Otto Maurer? I think I first heard the name in connection to the sleight known as the Back Palm. Later, I came upon the name Otto Maurer again, while researching the Coin Casket, or what Maurer called, "The Miraculous Golden Box." But who was this guy Otto Maurer? He was born Otto Maurer in Gemeisheim Germany on October 28th 1846. He immigrated with his family to America at the age of 5 according to The Perennial Mystics by James Hagy. 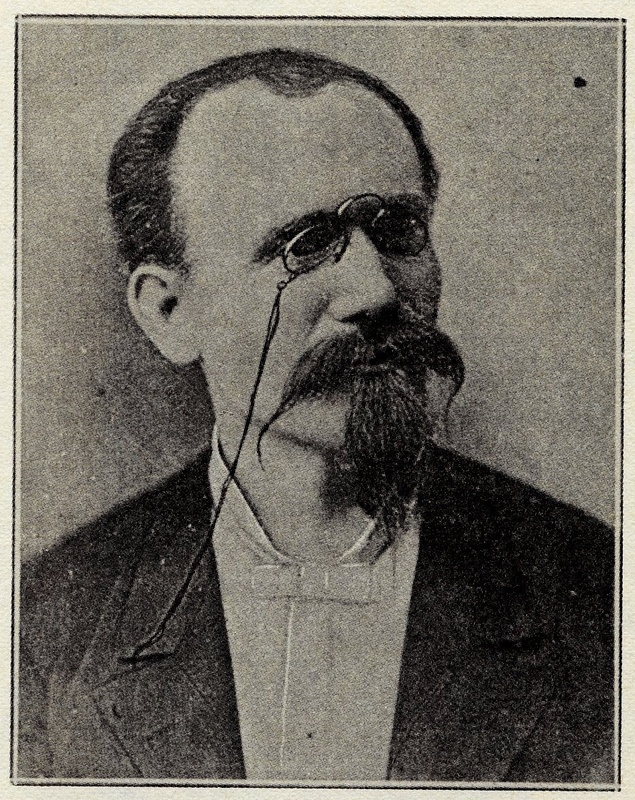 MagicPedia says that Maurer was a graduate of a German University and came from Berlin. This information may come from an unidentified clipping in one of Houdini's scrapbooks. I have not yet been able to track down the most accurate information. 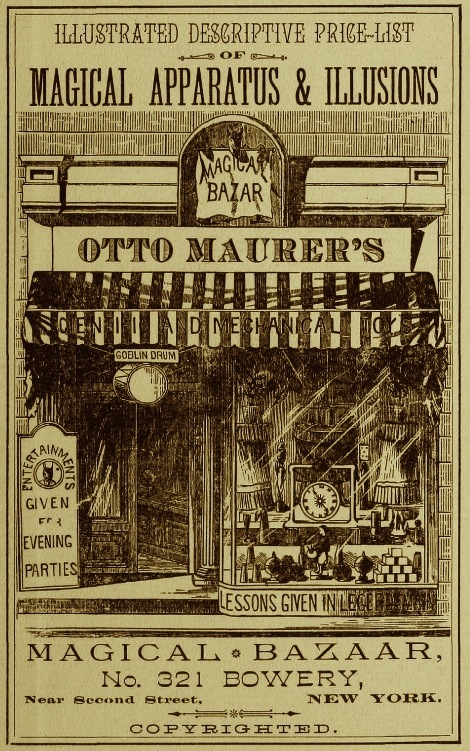 In 1872, Otto Maurer opened his magic shop on No 321 Bowery in NY. I believe it was simply a tinsmith shop at first, but because so many magicians came to him asking to have their props repaired, he shifted to a magic shop. 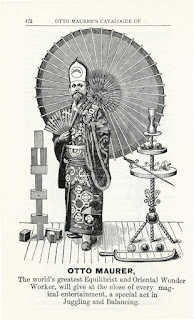 In his catalog he makes claims to being a performer as well as builder and even offered lessons in magic. But T. Nelson Downs in a 1924 letter said that Maurer was definitely NOT a sleight of hand performer. That doesn't mean he wasn't a magician, he could have simply used apparatus magic. And speaking of T Nelson Downs, there is a great story that is related in numerous sources about Downs first visit to New York City. Downs stopped into Otto Maurer's shop and told him that he was in town performing, not only that, he was making $100 a week. Maurer said to Downs, "No magician has ever been paid that kind of money, GET OUT of my shop!" At least one source claims the amount was $150. Though he issued a catalog with an illustration of a grand storefront on the cover, the Otto Maurer Magic Shop was not a storefront at all, but rather it was a basement location where he built most everything. An interesting story from W.W. Durbin which appeared in the Dec 1935 edition of The Linking Ring, tells how he (Durbin) ordered a number of things from Maurer and some of it arrived, some of it didn't, some took a while before they arrived. In addition, some of the items were clearly salvaged from (non magic) store bought purchases and then welded or attached in various ways and then gimmicked to produce the desired magic effect. From the description that Durbin gives, it sounds as if Maurer had his own methods on some items as well. And indeed, Otto Maurer did claim to use the very latest methods for his apparatus. For example, the Vanishing Birdcage that Maurer sold was unlike the DeKolta cage that was all the rage at the time. Instead it used a rather unconventional method and a very solid cage. Otto Maurer covered the issue of potential delayed props on the first page of his catalog. Here is how it reads, "It being almost impossible to keep a full supply of everything on hand, some articles selling more rapidly than others, all orders cannot be filled from stock. All goods not on hand must necessarily be manufactured after the order has been received, and consequently such orders require time to fill..." It goes on, but the point is, Maurer was letting potential customers know ahead of time, there might be a delay in ordering if it was an item that needed to be built. 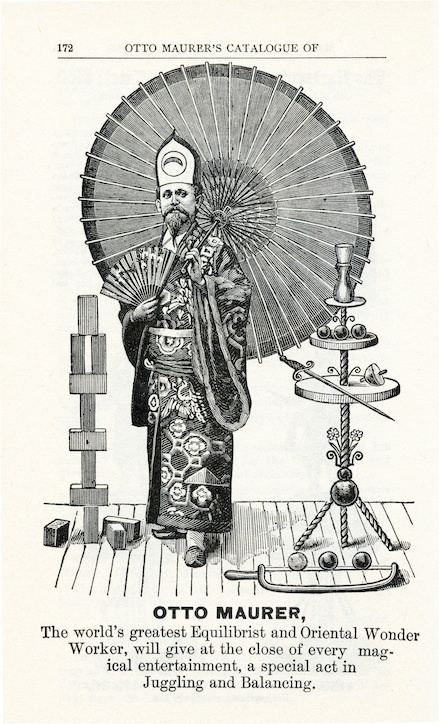 In his book, Adventures in Magic, Henry Ridgely Evans shares the story of how when he was 19 years old me went from Baltimore to NY to find Otto Maurer's Magic Emporium. Despite much searching, he could find no store front, no palace of mystery. Finally, he asked someone who guided him to a set of stairs on the side of a building. Henry Ridgely Evans said, "Imagine my astonishment at finding the Aladdin's palace of enchantment in the cellar of a grimy old tumble-down house. My gorgeous dream was dispelled. His magnificent magical salon was a myth, but his heart was in the right place." and it was not unlike near every magic shop I've ever seen. Photos adorned one wall. There were display cases with various types of apparatus that took up other areas. Sounds pretty standard magic shop with the exception of it's basement entrance. Despite the apparent lack of a fancy establishment, this did not deter magicians of all kinds from frequenting his shop. And clearly, it had a good reputation because folks like Trewy, T. Nelson Downs, Herrmann, Thurston and Houdini all visited the shop and purchased from the shop. 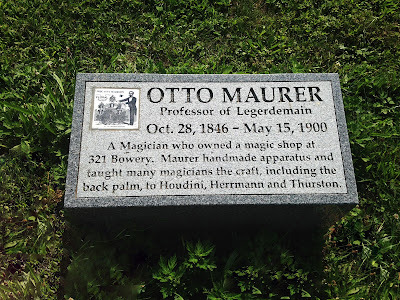 Otto Maurer's big claim to fame seems to be his learning the back palm from a Mexican gambler. This sleight he later showed to Houdini, Thurston and a host of others who used the underground technique to it's fullest. From what I can gather, Dr. James Elliott also learned the sleight from Maurer, and then developed the more impressive Front and Back Palm version. Though others would make claim to that as well. T. Nelson Downs attributes the effect to Elliott. 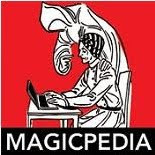 In 1890 he changed the name of the shop to The Columbia Magic Trick Manufacturing Company. In 1899 Otto Maurer began to develop health problems. This issues soon made a turn for the worse when he was diagnosed with Cancer. All the money he had saved from his magic shop went into medical bills. He died nearly penniless at the age of 53 at Metropolitan Hospital in NYC on May 15th, 1900. He was survived by a wife, son and a daughter. Due to his financial situation, he was buried in an unmarked grave in the public area of The Lutheran All Faiths Cemetery in Queens NY. Magic historian Tom Klem started a GoFundMe.com campaign last August (2016) to raise money for a gravestone for Otto Maurer. 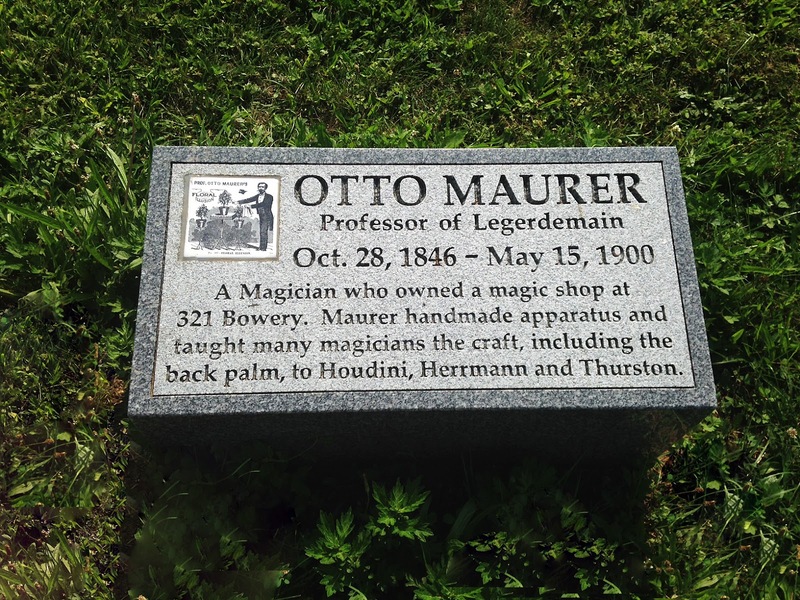 The money was successfully raised and a stone has been placed in the cemetery for magic dealer and magician, Otto Maurer. For a time his son, Otto Jr. took over the shop and moved it's location. But a few years later sold it to Frank Ducrot. And Ducrot also purchased Hornmann's shop, as well as quite a few other magic shops. Otto Maurer Jr. eventually took a job in the music department at a department store. Images provided by Tom Klem and posted with his permission. A BIG THANK YOU to Tom Klem for working so hard on the project to get a gravestone for Otto Maurer!!! Very interesting! I have often been drawn like a magnet to that wonderful storefront on Maurer's price list. How disappointing it was only in the mind's eye of the artist. And what a generous spirit was demonstrated by those who donated to the grave monument fund started by Mr. Klem. Though unfortunate that it wasn't on the street level, that didn't seem to stop magicians of all kinds from stopping in. Maurer had a very popular shop for his time and no doubt helped further many a magic career in the process. I agree with you. It's fun to learn about some of the lesser known names in magic history. Everyone has a worthwhile story and I'm glad that Otto Maurer is getting the recognition he deserves.